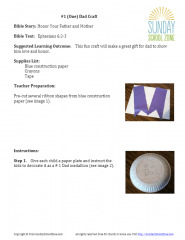 Suggested Learning Outcome: This fun craft will make a great gift for dad to show him love and honor. 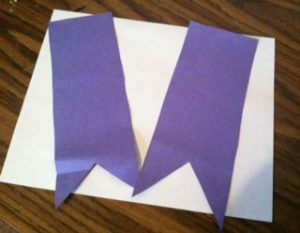 Teacher Preparation: Pre-cut several ribbon shapes from blue construction paper. Step 1. 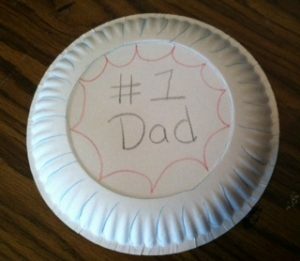 Give each child a paper plate and instruct the kids to decorate it as a # 1 Dad medallion. Step 2. 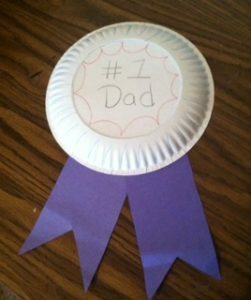 Instruct students to glue or tape the ribbon shapes to the back of the paper plate to create a great Fathers’ Day award for their dad.